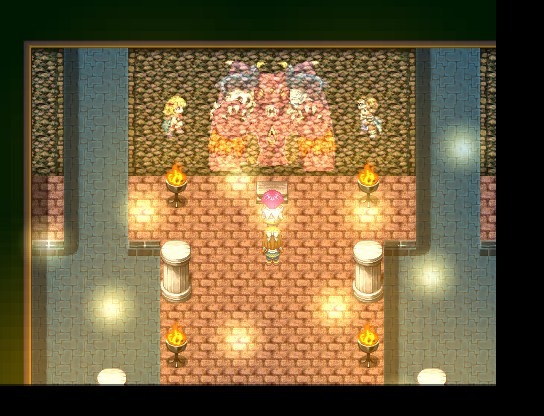 Lucid Awakening 2 is a newly released RPG on Steam that is reminiscent of the JRPGs of old. Dive on in as you help to save the world. Lucid Awakening is, to put it simply, an extremely good RPG on Steam. While yes it is an RPG Maker game and it has some major limitations due to that, it makes great use of what it can to deliver a fantastic game. Best of all? The game was made by one person. Let’s start off with the “not so great.” While the game is overall absolutely fantastic, there are some small moments here and there that could be improved. Minor spelling errors mainly, though you can at least typically overlook them as you’re reading through. There’s also some graphical glitches here and there. One other minor qualm I had is that the victory music barely lasts long enough if you’re mashing through the end text. It would have been great if it could have been, say, 5 seconds longer. However, at least for things such as the glitches, the developer is actively working to fix them and major props for that. There was definitely some parts I wasn’t that big of a fan of, but in the game they did make sense. One section had me put under a timer – something I’ve never done well with for as long as I can remember. Another had an unbeatable enemy hunting you down and he would randomly appear/disappear. While this did make it hard at times to try and figure out puzzles, it also gave me more than one jump scare when it appeared. Finally, there was a stealth section where I kept getting spotted by things I couldn’t even see… grumble… Again, while these are things I personally have never done well with, they worked quite well in the context of the story at the time. The combat system is definitely one of those once you figure it out you can definitely abuse it. Even then though, you’ll still have to watch it! The base of the combat system is based off two types – Veil and Pure. Almost all of your enemies will be one of these types and the classes you can use are also one of these types. You can have two “classes” (or as the game calls them, Souls) assigned on each of your main three characters at a time, and you can switch between those two whenever it is that characters turn. These classes all have their own CP pool that will let them get bonuses such as more health or agility, and each character will have a general SP pool that will let them learn abilities. At first it might feel like a bit of a daunting task to get all the classes mastered out, but by the end (if you do everything) you’ll have had enough time to work on them all and THEN some. While I definitely don’t want to go into story spoilers, it is worth checking out. I was intrigued the entire time and the ability to get a recap of what happened in the first game helped immensely. There’s times where it feels like it forgot about some early introduced characters but then they’re brought back for a big plot point. Of course, that’s pending on if you did decide to go for all the extra side story stuff but well… I highly suggest you do though. Not only will you get experience to help in killing the last bosses, you’ll get more insight into the story. Some parts of the controls felt a little under explained. It’s never explained how to run away from battle, which made a certain later part a big learning experience when I suddenly HAD to run away. The controls explanation definitely also favors keyboard users, which left me as a controller user having to figure out “uhh what does this do?” When one of the few action sequences came up, I actually HAD to revert to using the keyboard just because I didn’t really know what key was what button. Besides my small issue with the victory music seeming to not last quite long enough, the music is overall quite good. It always seemed to fit the mood, even if some of the loops did sound a bit off. Some of it did get a bit repetitive though, but overall the tracks did fit the mood of what was going on. Lucid Awakening 2 is definitely a fantastic game worth checking out however. 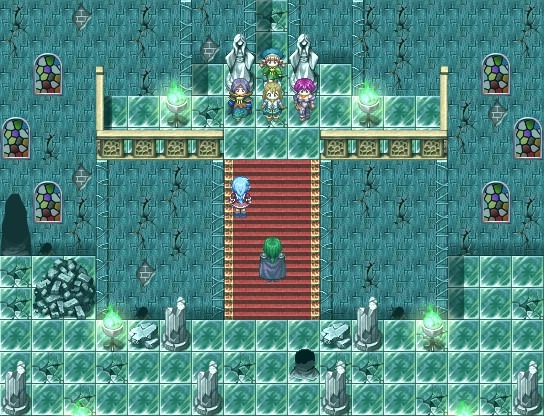 While it does suffer from some RPGMaker limitations, what it does within them is absolutely amazing. The game had me hooked from the start and was great throughout the around 26 hours it took for me to beat it. I would like to thank Momiji Studios for providing me with a copy of the game for review. Lucid Awakening 2 is available now on Steam.